We are living in a world where technology has a part to play in almost every aspect of our lives, so it's no wonder most of us own at least a smartphone or tablet. 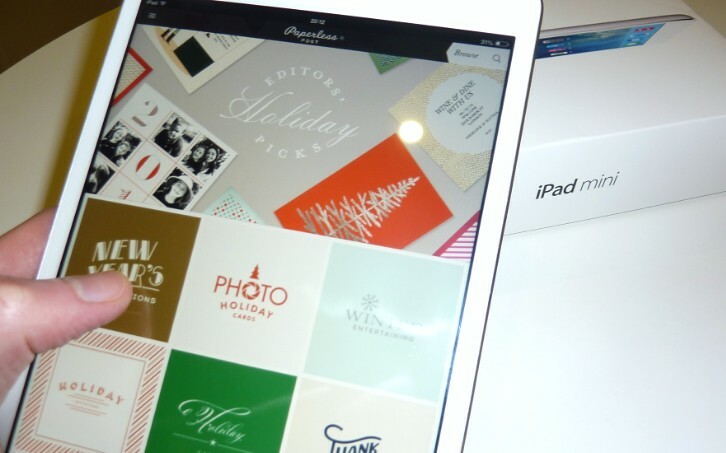 For my latest blog post I wanted to review one of my newest and favourite apps on one of the most sort after tablets on the market, the Apple iPad Mini which came from Argos. Paperless Post makes sending those timely thank you cards and wedding invitations easy and you can log in and keep them all in one place and send when you're ready via email. 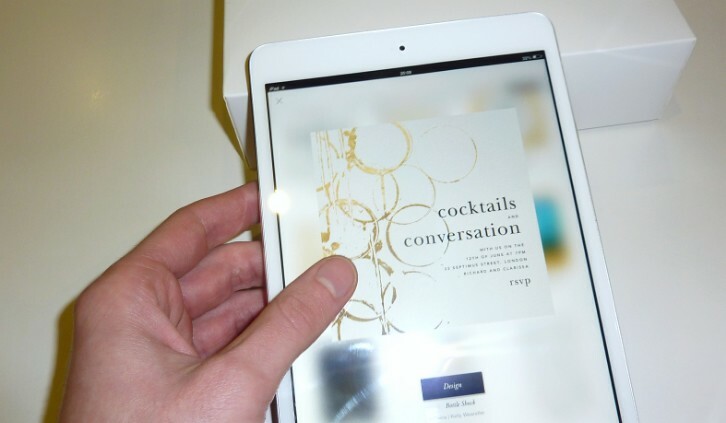 It enables you to change the typeface, backdrop, colour and format of the card, with designs from Kate Spade to Crane & Co or Oscar de la Renta. You're able to change the content and design to suit your distinctive taste and give it that personal touch. It's also a great source of inspiration if you have an impending wedding or occasion and you're unsure how to design your invitations. 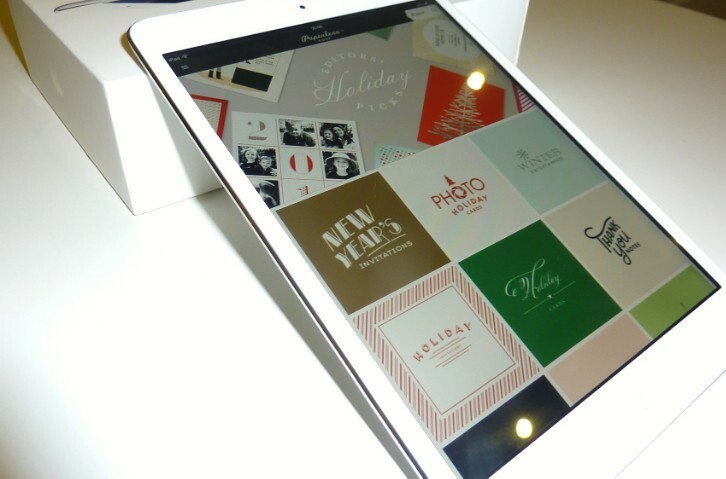 The iPad mini is a great device to navigate Paperless Post on as it has an adequate screen to clearly see all the details but light and small enough to carry in your handbag. The landscape and portrait mode make it simple for you to see invitations from all angles and the sleek design means business.